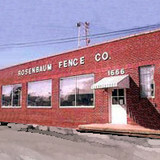 Since 1958 Anderson Fence Company Inc. has been building fences. 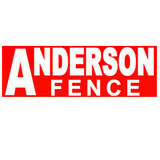 Experience & pride helps Anderson Fence Company stand out. We are locally-owned. Delmarva is our home. Straight, sturdy, good-looking fences do not happen by accident. Our philosophy is simple. We build quality fences that last. We believe in old-fashioned values such as hard-work, quality workmanship, and standing behind our work. We do not use outside sub-contractors to install your fence. Our fence technicians are highly trained craftsmen. Tidewater Fence provides high quality fence installation and repair services to homeowners in Hampton Roads and the surrounding areas in the Tidewater region. They can provide services for all types of fences, including privacy fences, decorative fences, garden fences, picket fences, and more. They can work with fences made from aluminum, vinyl, or wood. And no matter what kind of fence you have or need installed, their professional fence contractors will be able to ensure that it is durable, attractive, and able to stand up to any kind of weather conditions. We manufacture all of our PVC vinyl and wood fencing products, to insure you receive the best there is to offer. Compare our vinyl fence to another company's. The proof is in the thickness. Our chain link and aluminum fencing is supplied by the most credible and trustworthy sources. We use only American manufactured steel for our chain link and aluminum fencing. We install the finest fence products with dedication to workmanship and a Touch of Class, which makes us a step above our competitors. Our staff is available to come to your location and provide an on-site FREE estimate. 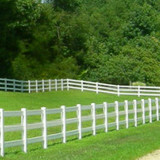 Let us develop a fencing plan to meet your needs and a product your family will enjoy. Fencing Unlimited, Inc. is a family-owned-and-operated fence installation contractor that has been serving Mechanicsville and surrounding counties for more than 40 years. We take great pride in the happy customers we have served over the years. Approximately 70% of our new leads are references from past satisfied customers and the red Fencing Unlimited, Inc. signs you see popping up throughout Central VA.
Thomas Fence located in Bushwood, MD has been in business since 1974, offers these articles, tips and insights to help Southern Maryland residents (Calvert County, Charles County and St. Mary’s County) with their homes and home improvements. If you have tips you’d like to share be sure to share them in the comment section below. 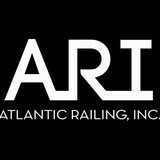 Check back for news on: rod iron fence, aluminum fence panels, split rail fencing, wood fence panels, wood fences, decorative fence panels, fence hardware, farm fencing supplies, veranda fencing, fence pricing, livestock fencing, fences, decks, home improvements, Southern Maryland homes and lawn care and more. Anderson Fence Company provides quality residential and commercial fence installation in Maryland, Delaware, and Virginia. We install all major types of fences, including: * Vinyl: Ranch Rail, Picket, Pool and Yard, Privacy and Semi-Privacy * Chain Link * Ornamental Aluminum & Steel * Wood: Split Rail, Picket, Stockade, Shadow Box, and Estate * Gates and Gate Operators * Custom Enclosures * Construction Fencing Contact us to learn more and schedule a free estimate. Your Christchurch, VA fence installation and repair professional will work with you to create your ideal fence. Find a fence contractor in Christchurch, VA on Houzz. Narrow your search in the Professionals section of the website to Christchurch, VA fence contractors. You can also look through Christchurch, VA photos to find examples of fencing and gates that you like, then contact the professional who worked on them.